Hall 232 W. Sierra Madre Blvd. Sierra Madre, Ca. for Public Service Announcements (PSAs) about community events. 24/7 and can be heard at 1630 on the AM dial. Madre, plus surrounding areas of Pasadena, Arcadia, and Monrovia. 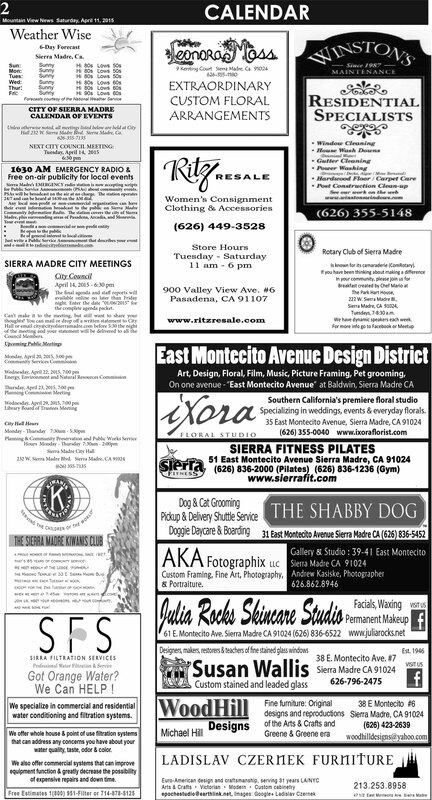 and e-mail it to radio@cityofsierramadre.com.